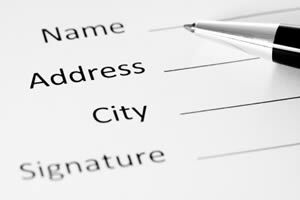 Here you'll find several commonly used forms which are frequently requested and filed with us. Many of the forms can be completed online and printed out. These forms are indicated by the "complete-online" icon ( ). All of the forms are in PDF format and require the free Adobe Reader for viewing.